Okay, well the tittle of the post is a bit odd and shocking. But that’s exactly it was meant to do. If you read through you will get where I am coming from. This post is basically inspired by an email conversation I had a few days ago with a gentleman in US. 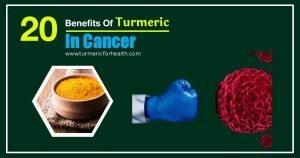 His mother was diagnosed with cancer and he said turmeric helped in several ways including post-operative recovery and chemo toxicity etc. He was thankful for the info on the portal. After a few email exchanges I asked him casually whether he is talking turmeric and how? I was shocked by his answer – why should I? I am not sick and turmeric is a medicine isn’t it? Well, what could I have said? Our whole approach for health is wrong as it is based on modern medicine which mainly targets on curing the disease symptoms. So if you have fever pop-up a paracetamol, if you have cough, take cough syrup, if you have pain – take a painkiller. So basically we target the symptoms and when they are gone we believe the work is done. Unless your body gets the power to fight the disease causing virus, bacteria or whatever you will keep falling sick. The cycle is endless. Let me explain this too using a real life incident. A few years ago we had new neighbors. They were well educated and well earning couple with a son aged 11-12 yrs. While all was well they used to remain worried most of the time as their son used to fall sick every 2-3 months. Season change always led to cough and cold. Drinking cold water, cold drinks, ice cream was not an option as it led to fever most of the times. The couple never believed in natural treatments and had full trust on modern medicine (no harm in that). So every time there was a problem they used to go to best doc. around – he used to write some medicines and things got okay in 4-5 days. But the cycle repeated again and again. My mom observed it for a few months, but did not say anything but after we started to know them well, my mom suggested them this – give him warm turmeric milk every day and one piece of amla (Indian gooseberry). But not when he is sick but for atleast 1 year without fail. Things remained same for a few months but then something unusual started happening – season changed but there was no fever! By the end of the year his visits to doc. decreased a lot. But here comes the best part – he did not stop the milk. The situation got better and better, he now plays while it’s raining, eats ice cream, cold drinks and have fun! 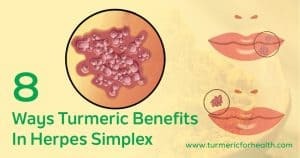 Turmeric and amla are known to develop immunity to various body disorders and this is exactly what they did! We need to change from curing a disorder to a preventive action. 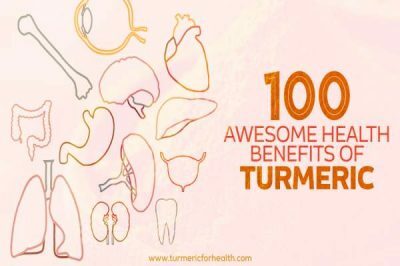 This can be easily achieved by including turmeric as part of your daily life. This is also not difficult at all. There are so many other ways, the possibilities are just limited by your imagination. 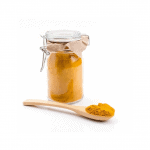 Use turmeric daily – without fail. Promise yourself. Not just when you have issues. 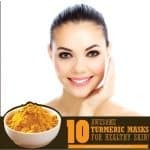 There are some situations when you should not use turmeric such as expecting a surgery, or on a medication which may interact with turmeric, etc. But otherwise it is completely safe to take it as a spice. 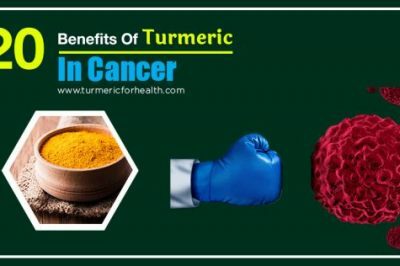 Use turmeric in a way it becomes part of your life and taking them as supplements is not that way. 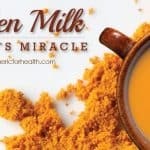 Include it as a spice or golden milk or any other way you like so it integrates with your diet. 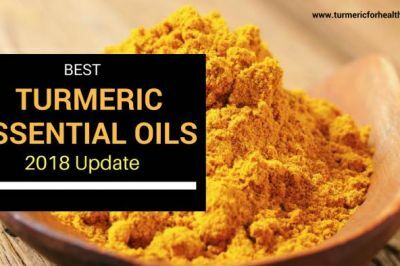 Of course, we will still fall sick – we all do sometime and then turmeric again will help (along with maybe other medication). 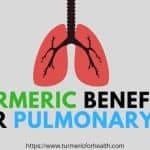 I cannot stress much on the fact and thus again repeating – if we really want to get benefit of turmeric it should be part of your diet and not a capsule in your drawer. Think about it! What do you think? let me know your views by commenting or email. Hello, I try to avoid medicines but what if the fever goes above 38.7 °C. It is still better to take just turmeric and not paracetamol? I know that is dangerous above certain temperatures. 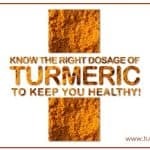 We always recommend taking turmeric in diet even if you are taking supplements. true that man. i believe the same. people are so busy they have rented their health to doctors who have no idea but to prescribe the drugs sold by agents who have been taught what to say. immunity cures, not the medicine. what have to be done is to help the immune system to fight illnesses. Hello! Well that’s a relief to read! 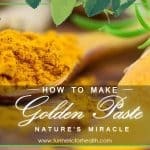 Certain other UK turmeric user and turmeric support groups on Facebook actually tell people who do not have any health issues, NOT to take turmeric golden paste, claiming it is a strong nutritional supplement – too strong to take just for good health! 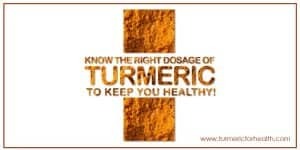 Instead they suggest just using turmeric powder in cooking, if you are well and have no health issues! What is the recipe to lower cholesterol?? 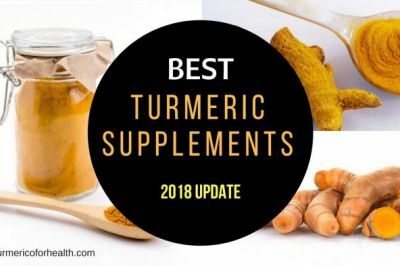 is taking a turmeric capsule the same? Exactly what I discribed in my comment . I suffered from backacke , joints pain, mouth ulceres, frequent colds and fluenza. I took 1tsp of golden paste for 8 months up to now . No more suffering !!!!! No backackes , no joint pain , no mouth ulceres , very light colds which go away with a cup of hot tisane , no paracetamol neither other drugs . I feel very well and I am 70 . Thank you for sharing this. 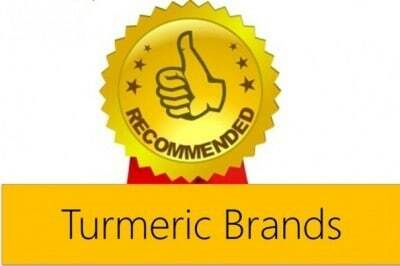 We are glad to hear that turmeric benefits you. I’m new to curcumin but I can’t believe how much my knee pain has gone down in couple weeks. I will keep using as preventative for sure. 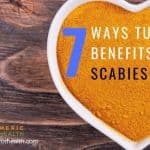 Also turmeric paste doing wonders on my psoriasis. 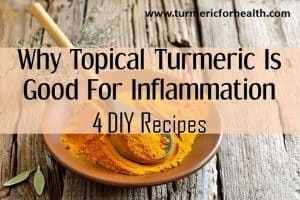 ure headline will encourage nay sayers to say “yes I saw it online, tumeric is dangerous”. I also disagree wid deceptive headlines coz many ppl dnt read further than that…especially the unconvinced. Hi, thanks for your feedback and sharing a different perspective. 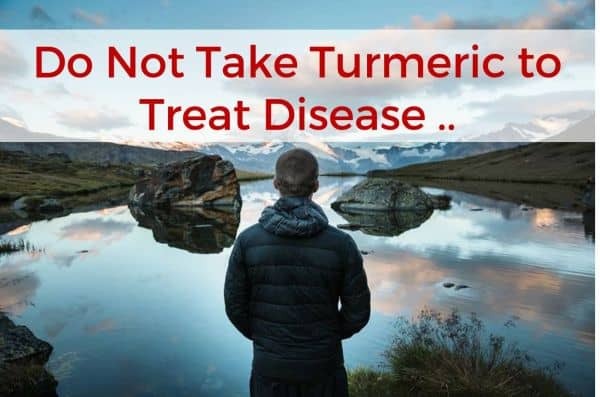 I DESPISE deceptive headlines like don’t use turmeric to treat disease so I am unsubcribing to all your websites and blogs. I encourage others to unsubscribe to STOP deceptive headlines and practices. No Fernando I get the point. He is getting our attention to get his information out there. Is that the point? If so I don’t need to be manipulated as if I am stupid? Putting aside your emotional feeling of “being manipulated as if I am stupid”, does the article have any worthwhile points or information which could be used to improve your health? 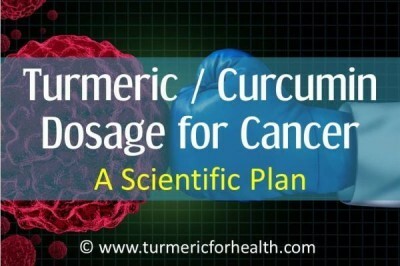 I believe it does and can testify from my own experience that turmeric can make a difference. I likely have read more bloggers and original research on turnermic than most you will come across Jill. No I am not particularly impressed by the story of using turmeric to cure a child’s illness. 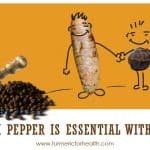 I would much rather incorporate turmeric into a very healthy diet. 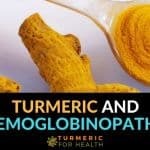 Turmeric has very specific compounds that without a doubt are healing to the body but they are very limited in number. There are literally thousands if not tens of thousands of important compounds he is missing not advising to eat a well balanced diet. Why not also talk about ginger a close relative and also has many healing compounds. Any other questions? i agree…I have been taking diclofenac and painkillers for an unexplained swelling of my joints and extremities. i have replaced my morning coffee with turmeric/ginger/cinnamon and milk drink. it is now five months since i started drinking my golden milk and the swellings are gone…so did my multiple spinal hernia! Steve, thanks for your feedback. I understand your point of view and respect it. Hi, thanks for your feedback. Will sure keep all these in mind. Oh for goodness sake, Steve. Just a little over reactive? I too get annoyed at misleading headlines that want to get our attention to BUY something. 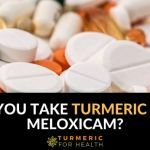 But this headline lead me to an excellent article that I may have otherwise overlooked – if it was something about how healthy it is (I know that)…since I am a huge turmeric fan anyway. Thanks for your comment. When I wrote the headline, I had the same intention – a headline which can attract eyeballs so that everyone reads the article and get benefit. I have had an overwhelming response, proving my point. Unfortunately, a few readers did not like it but it is fine as everyone has their own opinion. keep drinking!!! I still do even if the swelling in my extremities are gone.. Excellent post and my sentiments exactly. Thank you!